This guide will show you a step by step procedure on how to Root Samsung Galaxy Y S5360 (or Galaxy Young) and how to Unroot it. But before I proceed, let me just give you a little background on what is root or what is rooting an android phone means and why people root their android phones. Basically we Root our Android phones so that we could have access to all files and system even to the Operating System level itself. Through Rooting we could further customize and modify an Android phone. There are tons Apps or applications out there which requires that your Android phone must be rooted first before you can use them. Through rooting you can customize the looks of your Android phone, or in this case your Samsung Galaxy Y S5360. You can change themes, do Full backup of your system, run special apps and many many more. Before you proceed, let me just remind you that ROOTING WILL VOID WARRANTY. So proceed with caution and do it on your own risk! UPDATE: If you can’t download the update.zip or unroot.zip, here is a new and easier way to root and unroot your Samsung Galaxy Y. The tool is called Multi Root Installer V1.0 created by manoranjan2050 an XDA Forum member. How to Use: Download Multi Root Installer here and copy the downloaded file to the root of your SD card and flash it via CWM (ClockWorkMod Recovery). For more information about this tool visit original thread here. Alternatively you can also root/unroot your Galaxy Y using the methods below. Note: If you are accessing this page and downloading the file through your Android phone, then skip step number 2. 4. After you have copied the file update.zip to the root of your SD card, turn off the Galaxy Young. 5. Then turn it ON again, BUT this time go to recovery Mode. Press power, volume up and home button together. 6. 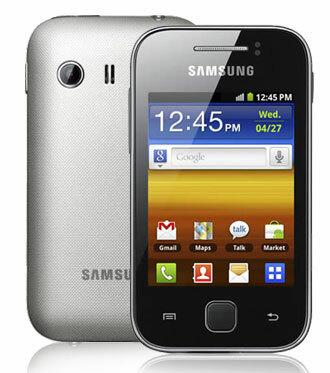 Your Galaxy Young will boot into a BIOS like display, choose “apply update from sdcard”. Use volume up and down to scroll, and home screen as enter. 7. Browse through the files and choose update.zip and hit the home button to begin the rooting. 8. Wait until your Samsung Galaxy Y finishes updating. 9. And your done! Your Samsung Galaxy Y S5360 should now be rooted. How to know if your Galaxy Young S5360 is already Rooted? 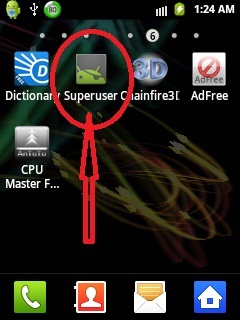 You should be able to see the Superuser icon in your Galaxy Y. 2. Do the same steps above (like your rooting your phone), except that you should use update-unroot.zip. 3. That’s it! your done! Your Samsung Galaxy Y S5360 should now be unrooted. Remember Root and Unroot your Galaxy Young at your own risk! Good luck! I suggest you also check out How to Increase internal phone memory of Samsung Galaxy Y S5360 and How to Move Apps from phone memory to SD Card for Android smartphones.